We all know that raspberries are a delicious fruit that tantalizes your taste buds. Imagine the combo of raspberry, iced tea and real sugar. Imagine no more. 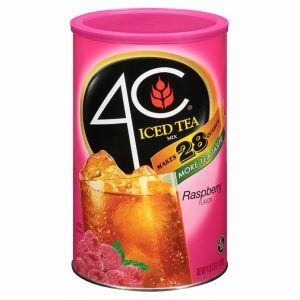 Try the refreshingly, delicious flavor of 4C Raspberry Iced Tea Mix. Makes 28 quarts and is packed in an easy-open canister complete with a measuring scoop. We all know that raspberries are a delicious fruit that tantalizes your taste buds. 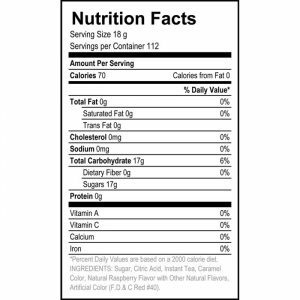 Imagine the combo of raspberry, iced tea and real sugar. Imagine no more. 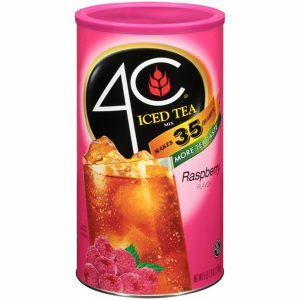 Try the refreshingly, delicious flavor of 4C Raspberry Iced Tea Mix. Makes 35 quarts and is packed in an easy-open canister complete with a measuring scoop.